Vintage TV Canada is pleased to announce a new partnership with Prism Prize. The new partnership will see a one-hour Vintage TV Canada segment entitled Prism Presents which will feature curated playlists of the best music video content in the world. The programme will also feature the music videos of Prism Prize competitors and winners. It will be curated by the Prism Prize team, and their network of creators. “We are very excited to partner with Vintage TV, so that together we can offer one of the few destinations on television where audiences can watch great music videos, and a national platform on which creators can gain exposure for their art.” said Prism Prize Founder Louis Calabro. The Prism Prize is a national, juried award established to recognize creativity and innovation in Canadian music video. The jury comprises more than 120 Canadian music and film industry professionals, selected to nominate a shortlist of the 10 best videos of the year. Each year, one video is crowned as the winner and receives a $15,000 cash prize. The Prism Prize is awarded based on artistic merit with jurors asked to consider originality, creativity, style, innovation and effective execution when making their selection. Further details about the partnership will be announced in due course. For more information on Vintage TV Canada please visit VintageTV.ca. For more information on Prism Prize please visit http://www.prismprize.com. Vintage TV Canada is available on Shaw Cable 178 (140 in Winnipeg), Shaw Direct 519, Shaw Direct Advanced 219 and all of Roger’s packages on channel 700. Toronto, ON – April 18, 2017 - The Prism Prize is proud to announce the inaugural Hi-Fidelity Award (presented by FACTOR) which goes to JULY TALK. 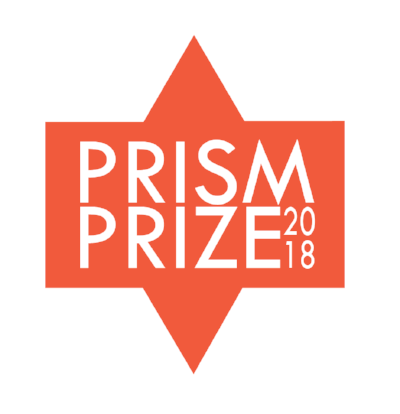 The Prism Prize Hi-Fidelity Award is given to a recording artist (band or musician) who has used video art to represent their work in a consistently creative and innovative way. JULY TALK will be presented with the Prism Prize statue, a $2500 grant from William F. White for production equipment rentals, and an exclusive gift bag from MAC Cosmetics at the Awards Presentation on Sunday, May 14, 2017 at TIFF Bell Lightbox. JULY TALK is a Toronto band that include members, Leah Fay, Peter Dreimanis, Josh Warburton, Ian Docherty and Danny Miles, signed to Sleepless Records / Island Records. Announced previously this month, the inaugural award is sponsored by FACTOR. “July Talk has put together a highly innovative and creative team. In providing financial support to their projects, FACTOR is proud to have played a small part in their success.” said FACTOR President, Duncan McKie. Using bold, striking imagery to represent their sound visually, the band shoots all material in gorgeous black and white, and have demonstrated a dedication to the importance of their aesthetic. “This type of artistry is exactly what we set out to honour when discussing the spirit of the award. The Prism Prize is proud to have JULY TALK as their first winner of the Hi-Fidelity Award.” Said Prism Prize Founder, Louis Calabro. On Sunday, May 14, 2017 at TIFF Bell Lightbox, the Prism Prize, in addition to the $15,000 Grand Prize for best Canadian music video of the year, will be giving several special awards, including the Lipsett Award (sponsored by MuchFACT) for innovative and unique approaches to music video art, the Special Achievement Award (sponsored by Slaight Music) for artistic achievements and exceptional world-wide contribution to music video art, the Audience Award (presented by Noisey Canada) and the Hi-Fidelity Award (sponsored by FACTOR). Toronto, ON – April 4, 2017 - The Prism Prize today announces the Top Ten best Canadian music videos of the year, as voted by a jury of more than 120 Canadian music, film and media arts professionals. After viewing hundreds of music videos, jurors selected the Prism Prize Top 20 and Top Ten based on originality, creativity, style, innovation and effective execution. The jury will vote once more to determine the Prism Prize winner, who will receive the $15,000 Grand Prize at the Awards Presentation on Sunday, May 14, 2017 at TIFF Bell Lightbox. This year, the Prism Prize is pleased to announce that in addition to the $15,000 Grand Prize for best Canadian music video of the year, several special awards will also be presented. Last month, Toronto collective KID. STUDIO, who have worked with artists such as Big Sean and The Weeknd, were announced as the recipient of the Lipsett Award (sponsored by MuchFACT) for innovative and unique approaches to music video art. In the coming weeks, the Special Achievement Award (sponsored by Slaight Music) for artistic achievements and exceptional world-wide contribution to music video art, as well as the brand new Hi-Fidelity Award (sponsored by FACTOR) will be announced. The Hi-Fidelity Award will be given to a recording artist (band or musician) who has used video art to represent their work in a consistently creative and innovative way. In addition to the Top Ten, all Prism Prize Top 20 videos are eligible for this year’s Audience Award, presented by Noisey Canada. The Top 20 videos are live at prismprize.com/audience2017, where fans can watch and vote on who will take home this year’s Audience Award. All Prism Prize Award recipients, including special award winners will receive $2000 grants from William F. White for production equipment rentals, and all Top Ten nominees will receive an exclusive gift bag from MAC Cosmetics. Toronto, ON – February 7, 2017 – The Prism Prize has announced the Top 20 Canadian music videos of the year, as voted by a jury of more than 120 music, film and media arts professionals. The Prism Prize Top 20 is based on originality, creativity, style, innovation and effective execution, and the winning video will be awarded $15,000.00 cash at the Prism Prize Award Presentation and Screening on May 14, 2017 at TIFF Bell Lightbox in Toronto. The Prism Prize is also happy to announce the return of Slaight Music as Lead Sponsor of the Prism Prize. Slaight Music will present the Special Achievement Award, as well as a post-screening celebration following the 2017 Prism Prize Awards Presentation. “Slaight Music promotes and fosters incredible new Canadian talent, providing them with an essential platform to be seen and heard. We are proud to associate Prism Prize with their great work, and look forward to another year celebrating these musicians together,” said Louis Calabro. The Prism Prize Top Ten will be announced on Tuesday, April 4, 2017. On Sunday, May 14, 2017, along with the $15,000 Grand Prize for best Canadian music video of the year; organizers will present the Audience Award (presented by Noisey Canada); the Special Achievement Award (presented by Slaight Music) for artistic achievements and exceptional world-wide contribution to music video art; and the Lipsett Award (presented by MuchFACT) for innovative and unique approaches to music video art. For more information, and a comprehensive list of the best Canadian music videos, check out www.prismprize.com. The Prism Prize is now the largest cash prize in the world for music videos. Established in 2012, it is an annual award recognizing outstanding artistry in Canadian music videos,and is produced by the not-for-profit Association for Music and Innovative Arts. The vision of the Prism Prize is to promote and support homegrown Canadian creative projects, and bolster the Canadian music landscape. Previous winners have included Philip Sportel for Kalle Mattson’s Avalanche (2016), Chad VanGaalen for Timber Timbre’s Beat The Drum Slowly (2015), Emily Kai Bock for Arcade Fire’s Afterlife (2014), and Noah Pink for Rich Aucoin’s Brian Wilson is A.L.i.V.E (2013).